Candles and candle stands are always present in Orthodox Christian homes and churches. Providing an atmosphere for prayer and decoration, candle stands in churches are of different types, each having its own significance. Istok Church Supplies is one of the world’s leading candle stands suppliers for Orthodox Christians. We offer these items in exquisite traditional styles that would enhance the décor of any church. In an Orthodox Christian church, candles are placed and lit in a variety of settings. 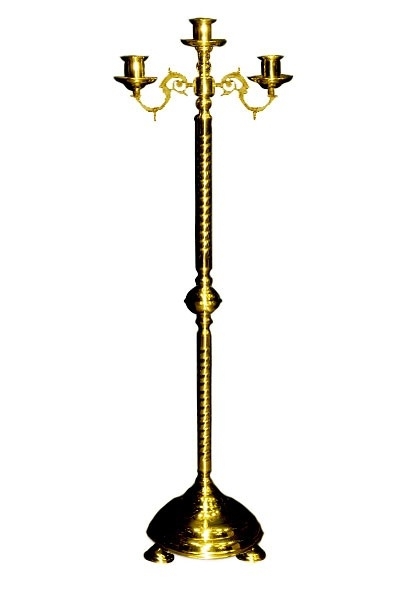 Whether you need a candle stand for the floor, table, various types of services or processions, you will not be disappointed with our vast selection of ornate candle stands supplies. From altar table candle stands and Holy Table candle stands to the traditional Paschal three candle holder stand and Acolyte processional primikirion, you will find what you are looking for. We also offer candle stands for church weddings, candle holders, incense holders, and Deacon’s candle stands, candle extinguishers and much more. We are a one stop shop for all your church candle stand requirements – shop from the convenience of your home or place of work and take advantage of discounted prices. While offering our products at reasonable prices, we do not compromise on quality. All our Orthodox candle stands for sale are made of high quality brass and German silver and feature ornate designs. 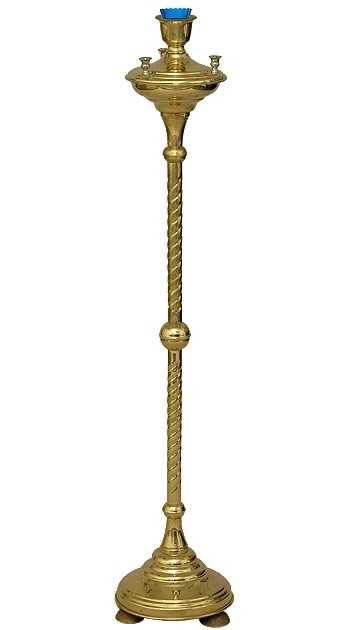 Some of the candle sticks feature gold gilding that lends an added touch of elegance. They are not only beautiful to look at also easy to maintain and durable. The candle stand or holder you choose should depend on the size and shape of the candle to be used. Our candle holders are designed to hold candles of various dimensions and customers can easily find a product that fits their requirements. 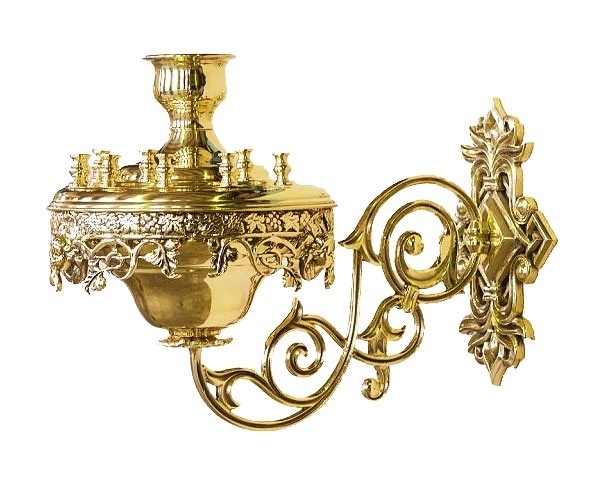 Our brass candle holders and candle sticks do not require much care but it is recommended to cover them with a coating of oil or varnish for longevity. Illuminate your soul and church with our extensive range of stunning candle stands!